Think of it as the "smartphone" of the optical screw world! It replaces just about everything. In 1999 Hilco’s Logic® Nose Pad simplified dispensing forever. 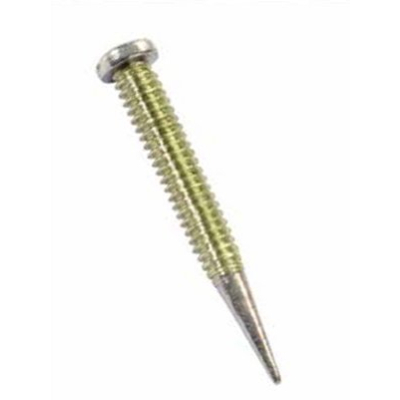 Now, it’s the Logic® Screw. We started with an extra long, easy-to-handle locking screw that snaps off cleanly to the exact length, every time. Then, we optimized the design to work equally well as a self-tapping repair screw or self-aligning spring hinge screw. The result? Just 6 items replace every eyewire and hinge screw in your drawer. That’s an 80%+ reduction in inventory, less cost, and effortless screw selection. That’s Logic. The Logic Screw and the Logic® Nose Pad that’s one smart, simple parts system. What will we replace next?